NEW YORK (NYTimes) -Even if my shopping is planned with military precision, the days leading up to Thanksgiving always require emergency trips to the store. Once I am there, the single bunch of sage I came for somehow turns into yet another full bag of groceries. Surrounded by ingredients, I am seized by both anxiety and ambition. Did those Georgia pecans I ordered back in September ever arrive? Do I really have enough squash now that I'm tripling the recipe? Shouldn't I make a third pie this year? The answer to these questions is always the same: Better buy more. And that's how I end up with masses of leftovers. Not the celebrity Thanksgiving leftovers like turkey and stuffing. After all, you can just eat those. But leftover bags of raw cranberries, extra squash that have served their purpose as centrepieces and the bunches of parsley and bags of onions I find stashed all over the house are harder to get rid of. No one wants to eat cranberry sauce once the turkey runs out. 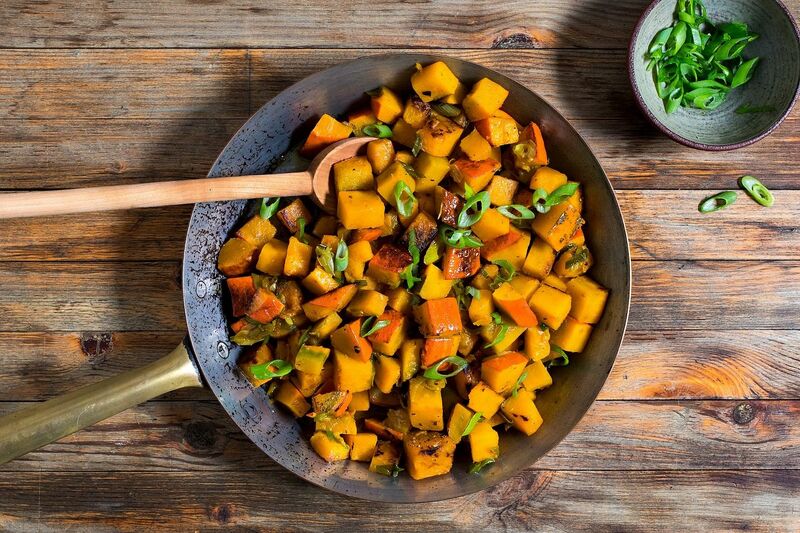 Everyone is sick of pumpkin, sweet potatoes and all things sweet and starchy. So at this time of year, I go on the hunt for recipes that show off those ingredients, but without repeating the tastes of Thanksgiving. Cynthia Chen McTernan is a food blogger and photographer (and lawyer) in Los Angeles whose first cookbook, A Common Table, has just been published. She cooks from a combination of spectacularly delicious influences: her upbringing in Virginia, her Chinese-born parents, her Korean-Hawaiian-American in-laws and her California home. All are present at Thanksgiving, she says. Her Cantonese mother insists on reserving a place at the table for her favourite spicy soy-braised lamb shanks, and the other side of the family produces platters of jeon (fritters) and mandoo (dumplings). Between shopping for all those dishes, and buying extra of everything in case she needs to shoot pictures for her blog, Two Red Bowls, she said:"You can't believe how many extra ingredients I have left after Thanksgiving." She buys multiple kabocha squashes for the holiday, using its nutty flesh in the filling for pumpkin pie, and styling wedges of it into her photographs. The extras are always repurposed; she adds the purée to the custard for French toast (another hero), and the slices into a galette of caramelised onions and herbs for sweetness and bulk. 1. In a wide skillet with a lid, heat the butter and oil over medium heat. When melted, add the onions in batches, stirring to coat. Reduce the heat to very low, cover and cook, stirring often, until very soft and translucent, about 30 minutes. The onions may turn light gold, but they should not brown. 2. Sprinkle with 1 tsp salt, cover and continue cooking until onions are golden and melting into a purée, 30 to 60 minutes more depending on the thickness of the onions. 3. In a microwave, heat the cream until warm, add the tomato paste, and stir until dissolved. 4. Meanwhile, bring a large pot of water with 1 tablespoon salt to a boil over high heat for the pasta. 5. When the onions are cooked, stir the cream mixture into the skillet along with a dozen grinds of black pepper. Cook, stirring, until the onion mixture is slightly thickened, 2 to 3 minutes. Turn off the heat. 6. Add the pasta to the boiling water and cook until tender, then drain and return to the pot. Immediately add the onion mixture and Parmesan cheese and toss together. Taste and adjust the seasonings with salt and pepper; add a little more tomato paste if the mixture needs sweetness or acidity. 7. Serve immediately, sprinkling each serving lightly with parsley, if you'd like. Pass more cheese at the table. McTernan, who calls kabocha her "soul-mate squash," said that a few years ago she told her mother all about the fabulous new squash she'd discovered in California. Her mother informed her that she had been eating it all her life, under the name "Japanese pumpkin." Their recipe is a simple braise, popular in many parts of East Asia, where the squash is cut into chunks, stir-fried with lots of scallions, then simmered in broth until tender and soupy. It's substantial, but light and savoury - a perfect post-holiday dinner with freshly steamed rice and a soft-cooked egg. In an old favourite cookbook of mine called The Good Food: Soups, Stews, and Pastas, I rediscovered a recipe that calls for four large onions - enough to make a dent in my overflowing pantry. (This useful 1985 book by Julie Strand and Daniel Halpern has just been rescued and reissued by Ecco Press, where Halpern is editor-in-chief.) The onions are sliced and cooked very slowly, salted and covered to prevent them from caramelising. Instead of browning, they melt into a satiny golden purée that - with a slug of cream and a squirt of tomato paste - becomes a luxurious sauce for pasta. It's a bit like Marcella Hazan's famous tomato-butter sauce, but with the flavour proportions reversed: more onion and dairy, and just a touch of tomato. I will need to use up some of the extra butter I buy (for the extra pies I will run out of time to make). And the remainder of the three pounds of "mammoth" pecans that I could not resist ordering all the way from Fort Valley, Georgia. And the graham crackers that I will use to line the bottom crust of my pumpkin pie to keep it crisp, as instructed by Rose Levy Beranbaum, the author of many magisterial books on baking. So I dug through Beranbaum's new book, a relatively modest volume titled Rose's Baking Basics. It is not often that the word "basic" is attached to recipes that can run five pages or more, but Beranbaum's meticulously documented details are what make the book perfect for new bakers. 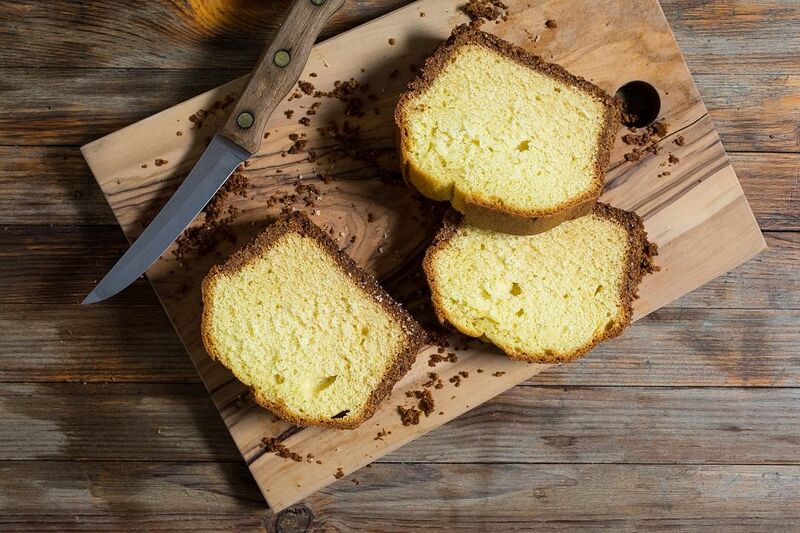 I was gripped by her cream cheese crunch pound cake, a fluffy loaf encased in a thick crust made of crushed pecans, graham crackers, caramelised sugar and butter. With more butter, sour cream and cream cheese in the batter, the finished cake is rich but light, with a fine-grained texture - like a frozen supermarket poundcake, but in the best possible way. "I was never allowed to have sweets like that growing up," said Beranbaum, whose mother was a dentist. "I'm sure that has something to do with why I've spent the rest of my life baking." Beranbaum's favourite leftover is not sweet but salty: a whole 18-pound (8kg) ham that her supermarket throws in along with her enormous Thanksgiving order. She soaks it, portions it and freezes it, for a whole winter's worth of soups and sandwiches. 1. In a wide skillet or wok, heat the oil over high heat until shimmering. Add the squash and toss with a spatula until evenly coated with oil. Cook, stirring occasionally, until lightly caramelised, 5 minutes. 2. Reduce the heat to medium and add the scallions. Stir, then add ½ cup of broth and stir again. Adjust the heat to a simmer. If using skin-on squash, turn the pieces so that the skin is submerged; this allows them to cook evenly. 3. Cover and simmer until squash is tender and skin (if using) is cooked through, 10 to 15 minutes. Check occasionally to make sure the pot isn't cooking dry; add broth as needed to keep the mixture simmering. The broth will reduce and thicken into a light sauce. 4. When cooked through, sprinkle generously with salt and pepper, stir and taste the squash and the broth. Add salt and pepper as needed. Serve hot, sprinkled with extra scallions. Ladle a little extra hot broth over each serving. 1. Set an oven rack in the middle of the oven and heat the oven to 180 deg C. Grease a 9-by-5-inch (23-by-13cm) loaf pan with butter and line with two pieces of crisscrossed parchment: Lay the first sheet in the pan, butter it lightly, then lay the other sheet across. Both pieces should extend a few inches above the edges of the pan, making a sling that you'll use to lift the cake out. 2. Make the pecan crunch, if desired: Break the crackers into a few pieces and add to the bowl of a food processor. Add the nuts and sugar. Process until you have fine crumbs. Add the melted butter and pulse it in until evenly incorporated. 3. Spoon about half of the crunch mixture into the prepared pan and press it evenly across the bottom. Press the remaining mixture against the sides, stopping about 1 inch from the top of the pan: Begin by tilting the pan to one side and use a bench scraper or the flat side of a metal spatula to lift, spread and press the coating against the side of the pan. Without tilting the pan, repeat with the remaining three sides. Use the back of a small spoon to even the coating on the sides and against the corners of the pan. Cover with plastic wrap and refrigerate for at least 30 minutes, up to 3 days. 4. Make the batter: In a medium bowl, whisk the egg yolks with 2Tbs sour cream and the vanilla, just until lightly combined. 5. In the bowl of a stand mixer fitted with the paddle attachment, mix the flour, sugar, baking powder, baking soda and salt on low speed for 30 seconds. 6. Add the butter, cream cheese and the remaining 6Tbs sour cream. Mix on low speed until the flour mixture is moistened. Raise the speed to medium and beat for 1 ½ minutes. Scrape down the sides of the bowl. 7. Starting on medium-low speed, gradually pour the egg mixture to the batter in two parts, beating on medium speed for 30 seconds after each addition. Scrape down the sides of the bowl after each addition. 8. Gently spoon the batter into the crunch coating-lined pan and smooth the surface. Bake for 50 to 60 minutes, or until a tester inserted into the center comes out clean. 9. Let the cake cool on a wire rack for 20 minutes. Use a small knife to dislodge the crunch coating at the corners and lift the cake out, using the parchment paper "sling." 10. Let cool completely before gently removing the parchment and transferring to a serving plate or cutting board. (Or, wrap well and store at room temperature for 3 days or in the refrigerator for 5 days.) To serve, use a serrated knife to cut into ½-inch-thick (1.3cm-thick) slices.